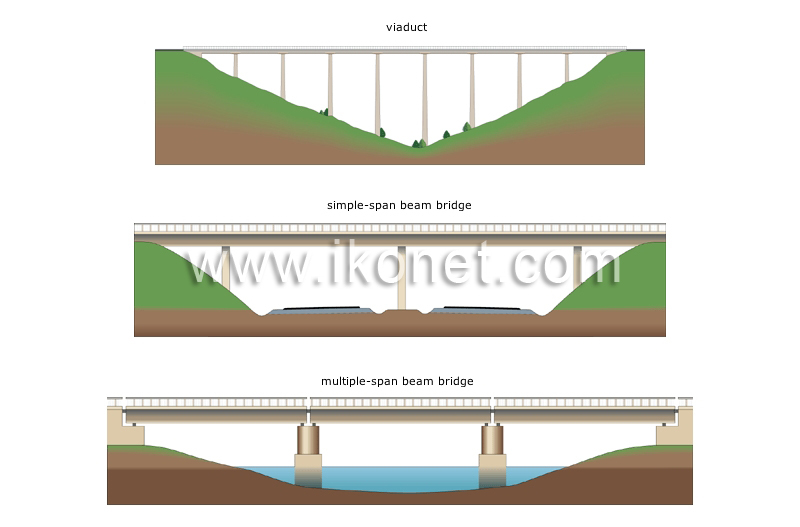 Depending on the length of the roadway above the obstacle, the bridge could comprise one or more beams. Bridge composed of several beams that crosses a very high valley. Bridge whose deck is composed of only one continuous beam. Bridge whose deck is composed of several juxtaposed beams, each one supported at each end.